We filed a US continuation application claiming priority to a PCT application filed in the EP receiving office. (The PCT application had no priority claim.) We filed the application by the 12-month convention deadline at the client’s request. I do not think we need to provide a certified copy of the PCT, but can anyone confirm? For anyone who has suppressed their memory of this unpleasantness, recall that you, the practitioner, are required to take a position on whether the correct law for the Examiner to use in deciding what is patentable and what is not patentable is the “old law” or the “new law”. 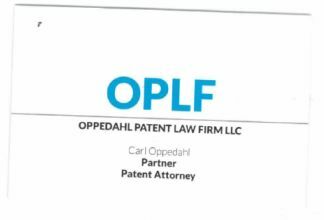 And it is a certainty that ten years from now when your patent is being tested in litigation, the adversary will try to convince the judge and the jury that you told the USPTO the wrong answer on this point. 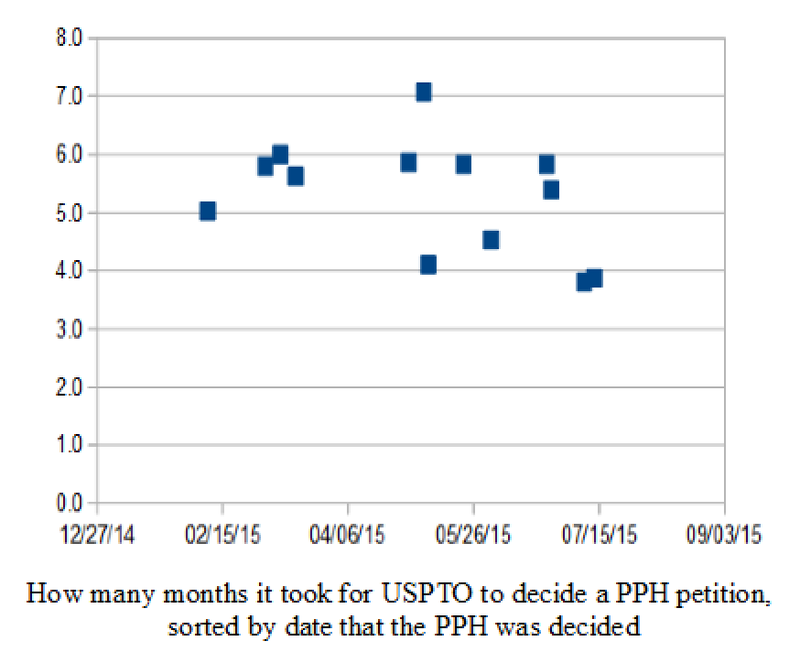 USPTO being less slow in deciding PPH petitions? In the old days it was not easy to know whether the recordation of an assignment against a PCT application number would count in Assignments On The Web (AOTW) as an assignment against the US national phase of that same PCT application number. But now EPAS (the electronic patent assignment system) seems to be smarter about this. Tomorrow and Friday are you last chance to attend the Nineteenth Annual AIPLA PCT Seminar. This will be at the Hilton in old town Alexandria. Walk-in registrations are welcome. See details here. The previous Seminar, which took place this past Monday and Tuesday, was in San Francisco. It went quite well. Who agrees with the USPTO on this specimen bounce? The USPTO bounced this specimen. I wonder who agrees or disagrees with the USPTO bouncing this specimen? Maybe you can’t say “Make America Great Again”? Today the USPTO granted US trademark registration number 4,773,272 to Donald Trump. Yes, that Donald Trump. You can see the registration certificate here. (I blogged about the pending trademark application here.) Oh to be a fly upon the wall, to hear whether the other presidential candidates are now being advised by their trademark counsel that from now until the November 2016 elections are over, they must avoid uttering those four words in sequence. When is Private PAIR not Private PAIR? When is Private PAIR not Private PAIR? Or, to rephrase the question, what’s wrong with this picture?